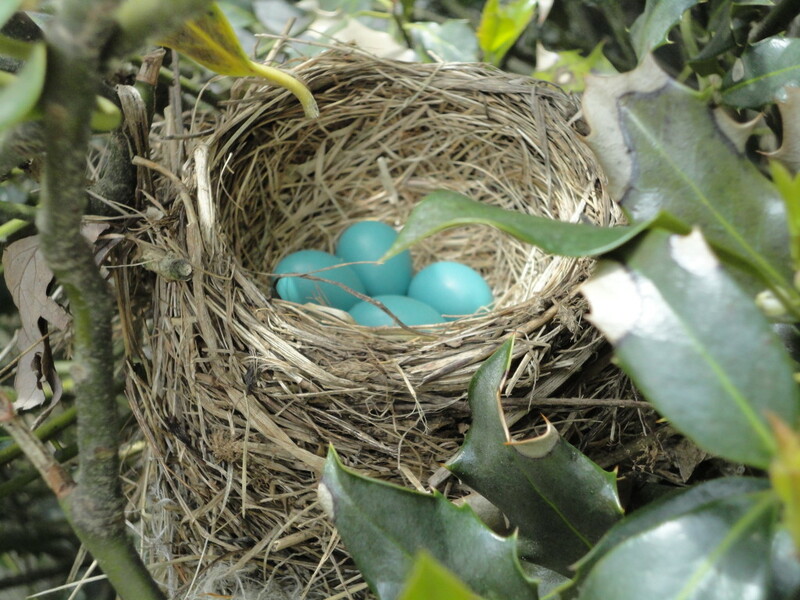 This weekend, my husband was trimming the dead parts off the holly bush, and he discovered a bird’s nest with eggs. 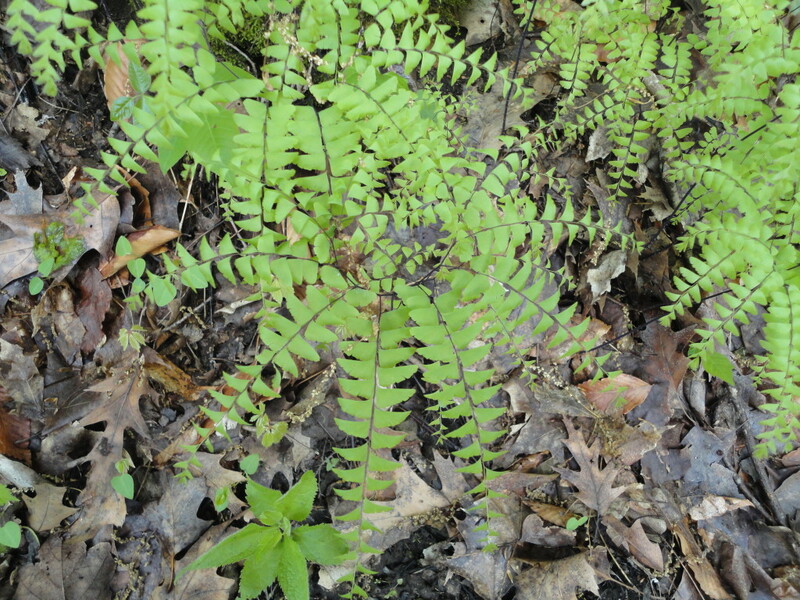 Any idea what type of fern this is? We had the good fortune to have a bird nest in a hanging planter a couple years ago. It was fun looking from time to time to see the progress! Oooh! Did you take pictures? Cool. Here’s hoping the eggs hatch. It’ll be great fun to watch your kids experience it. Who belongs to the blue eggs?!!! Oh, that nest is such a great discovery!